Best of Houzz Award six years running, Noosa based Soul Space Building Design is a vibrant and enthusiastic Building Design practice focusing on modern, easy-living coastal homes with a resort-style feel that are sensibly planned, buildable and suit your budget. Paul Hindes, principal designer with 30 years experience, specialises in residential and commercial buildings as well as office and shop fitouts. The practice operates from their Noosa based studio on the Sunshine Coast in Queensland, and accepts commissions Australia-wide. Paul Hindes, the principal designer has some 30 years experience in the profession, is registered with the QLD Building Services Authority. 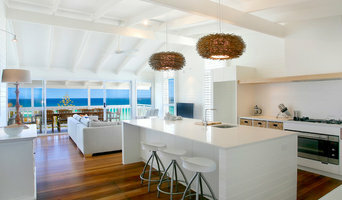 The Aboda Design Group is a building and interior design consultancy based in Coolum Beach, Queensland. 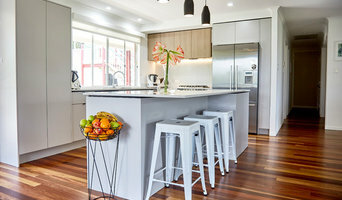 Adrian Ramsay Design House connects with clients to innovate solutions for them and create home that make their hearts sing. Specialising in luxury new homes and renovations, Adrian Ramsay Design House go beyond meeting your expectations... We aim to exceed them! 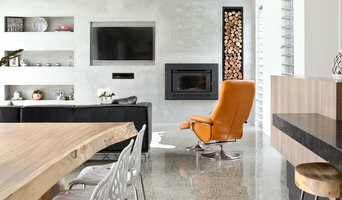 Using his unique ‘Design Magic’ process, Adrian listens to client’s dreams, understands their budget, and creates a unique, functional and stylish home. The incredible thing about this process is that no two houses are the same – they are tailor made to meet your needs. While most of our work is based in Australia, Adrian Ramsay Design House has also completed works in New Zealand, England and France. ARDH are full service designers of new homes and home renovations, specializing in bespoke, environmentally sensitive design. 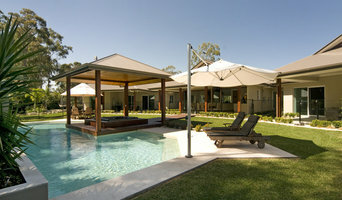 Award winning designer of the Master Builders Australian House of the Year 2010 and Best of Houzz winner. Based in Queensland we are a Building design company that cater for residential and commercial developments. Award winning design concepts blending harmoniously with the natural surroundings, at Skale Building Design, we strive to achieve the ultimate in design and style whilst leaving as small an environmental footprint as possible from conceptual design to completion, your design is unique and matched to the landscape, your needs and your lifestyle. Our design portfolios display some samples of how our passion and commitment has helped our clients to achieve their dreams, and we look forward to helping you achieve yours. We're often on-site and out-and-about keeping an eye on things, but by appointment, we can meet at our Noosa hinterland studio, or we're happy to come to you. Tim Ditchfield has developed a rich and diverse level of building design skill practicing architecture on the Sunshine Coast since 1990. For over 17 years Tim has been Co-Director of Middap Ditchfield Architects Pty Ltd and has been responsible for the design and delivery of numerous projects which have been awarded for excellence by the Australian Institute of Architects. In 2010 Tim established Tim Ditchfield Architects. This design studio is focused on creating highly crafted buildings which respond to site and climate in ensuring a high level of sustainability. 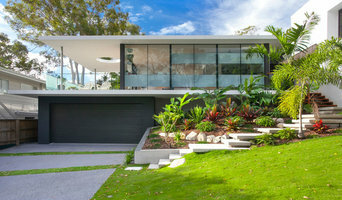 Teeland Architects is an award winning design practice based in Noosa. The firm designs contemporary buildings that are inspired by the local environment and lifestyle. We work with our clients to identify what is important to them. We develop creative and innovative solutions to fulfill our clients aspirations. Turning Dreams in Plans. Our purpose is to assist clients in the creation of beautiful, functional and unique homes. We also provide efficient, cost effective and high quality design services to residential builders, providing a valuable service to the construction industry. Through our work in building design we are proud to be a part of the creation of communities that are prosperous, environmentally and socially sustainable and that provide wonderful homes for all its citizens. Taylor'd DISTINCTION is a highly professional building design studio, providing creative solutions and imaginative designs. Taylor'd DISTINCTION has built it's reputation on extensive experience, passion for design, and friendly personalised service. We achieved the Platinum Level for Livable Housing Guidelines in 2015 for our Coastal Sanctuary Project. Chilli Freaks are putting the spice back into building design on the Sunshine Coast! Cameron Lincoln is committed to providing you with the best in building design. He approaches every project with a focus on aesthetics, functionality and structural integrity whilst keeping a very keen eye on cost of construction. For over ten years, Cameron has been designing individual and innovative structures. Each project is handled with unique perspective and integrity. Cameron has been involved in the building industry for over 30 years. Starting hands on as an apprentice carpenter through to a licensed builder in his own right, these years of experience has given him ingenuity and an eye for solutions… this makes Cameron the obvious choice for building design services. Chilli Freaks also offer services to assist you in the development of your property – from building design and drafting, document preparation and contract administration to site visits, we are your one stop shop when it comes to building a new house or renovating an established building.